Come join the fun! This class is for the beginner. You can learn a lot in just 4 weeks. The class starts at 6:30 and goes til 7:30. The cost for the 4 week class is $52 if you pre register. 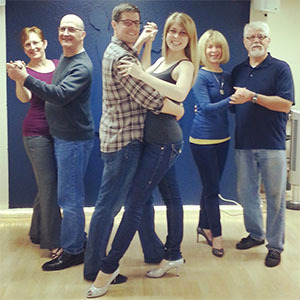 You can easily preregister on line by going to theballroomexperience.com or by calling John Ross the director of The Ballroom at 586-1136. Registering the night of the class is $62.